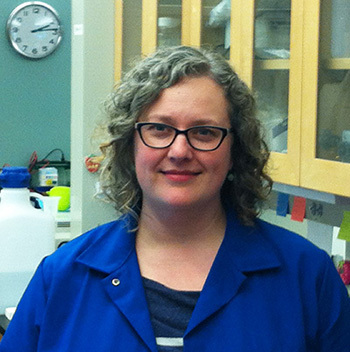 Carrie Partch, assistant professor of chemistry and biochemistry at UC Santa Cruz, was awarded a 2016 Junior Faculty Research Award from the Society for Research on Biological Rhythms. Partch was honored at an awards ceremony during the 2016 meeting of the society in May. She was recognized for her contributions to bringing structural biology and biophysics into the field of chronobiology. Chronobiology is the study of the biological clocks that drive the body's daily ("circadian") rhythms. Partch studies the workings of the biological clock at the molecular level. This inaugural award, one of two given internationally, recognizes an outstanding pre-tenure faculty member for their independent contributions to the field of chronobiology. The Society for Research on Biological Rhythms is the premier research society in chronobiology.